Before proceeding to the Pandas read_html example we are going to install the required libraries. 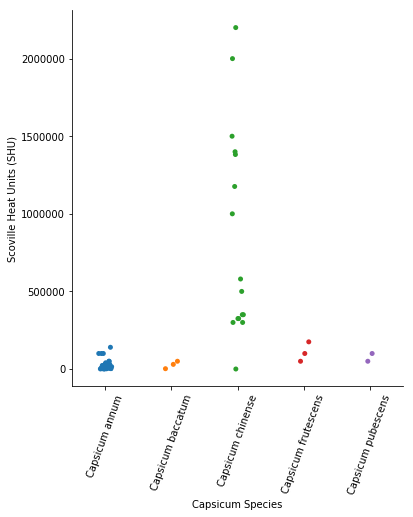 In this post we are going to use Pandas, Seaborn, NumPy, SciPy, and BeautifulSoup4. We are going to use Pandas to parse HTML and plotting, Seaborn for data visualization, NumPy and SciPy for some calculations, and BeautifulSoup4 as the parser for the read_html method. 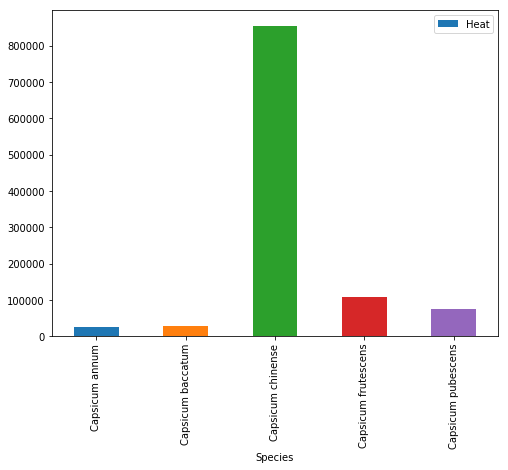 In this section we will work with Pandas read_html to parse data from a Wikipedia article. The article we are going to parse have 6 tables and there are some data we are going to explore in 5 of them. We are going to look at Scoville Heat Units and Pod size of different chili pepper species. The aim with this post is to explore the data and what we need to do now is to add a column in each dataframe in the list. This columns will have information about the species and we create a list with strings. In the following for-loop we are adding a new column, named “Species”, and we add the species name from the list. Now that we have used Pandas read_html and merged the dataframes we need to clean up the data a bit. We are going to use the method map together with lambda and regular expressions (i.e., sub, findall) to remove and extract certain things from the cells. We are also using the split and rstrip methods to split the strings into pieces. In this example we want the centimeter values. Because of the missing values in the data we have to see if the value from a cell (x, in this case) is a string. If not, we will us NumPy’s NaN to code that it is a missing value. In this section we are going to explore the data using Pandas and Seaborn. First we are going to see how many missing values we have, count how many occurrences we have of one factor, and then group the data and calculate the mean values for the variables. Later in the post we are going to explore the relationship between the heat and the pod size of chili peppers. Note, there are a lot of missing data in both of these columns. There are of course many other ways to explore your data using Pandas methods (e.g., value_counts, mean, groupby). See the posts Descriptive Statistics using Python and Data Manipulation with Pandas for more information. In this section we are going to visualize the data using Pandas and Seaborn. We are going to start to explore whether there is a relationship between the size of the chili pod (‘Pod size’) and the heat of the chili pepper (Scoville Heat Units). In the first scatter plot, we are going to use Pandas built-in method ‘scatter’. In this basic example we are going to have pod size on the x-axis and heat on the y-axis. We are also getting the blue points by using the parameter c.
We still have some possible outliers (around 300,000 – 35000 SHU) but we are going to leave them. Note that I used the parameter figsize=(8, 6) in both plots above to get the dimensions of the posted images. That is, if you want to change the dimensions of the Pandas plots you should use figsize. 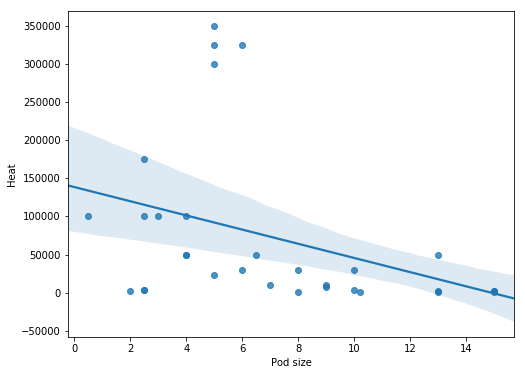 Now we would like to plot a regression line on the Pandas scatter plot. As far as I know, this is not possible (please comment below if you know a solution and I will add it). Therefore, we are now going to use Seaborn to visualize data as it gives us more control and options over our graphics. 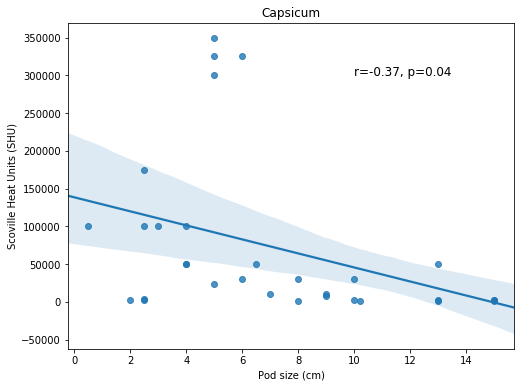 Creating a scatter plot using Seaborn is very easy. 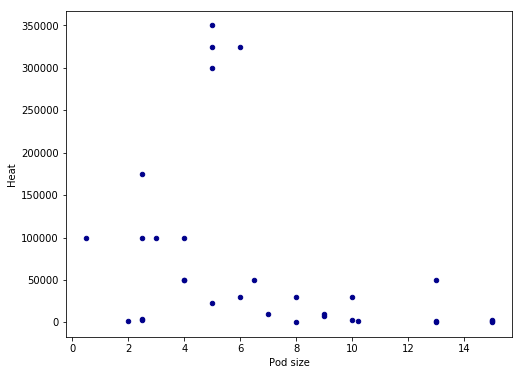 In the basic scatter plot example below we are, as in the Pandas example, using the parameters x and y (x-axis and y-axis, respectively). However, we have use the parameter data and our dataframe. Judging from above there seems to be a relationship between the variables of interest. Next thing we are going to do is to see if this visual pattern also shows up as a statistical association (i.e., correlation). To this aim, we are going to use SciPy and the pearsonr method. We start by importing pearsonr from scipy.stats. As we found out when exploring the data using Pandas groupby there was a lot of missing data (both for heat and pod size). When calculating the correlation coefficient using Python we need to remove the missing values. 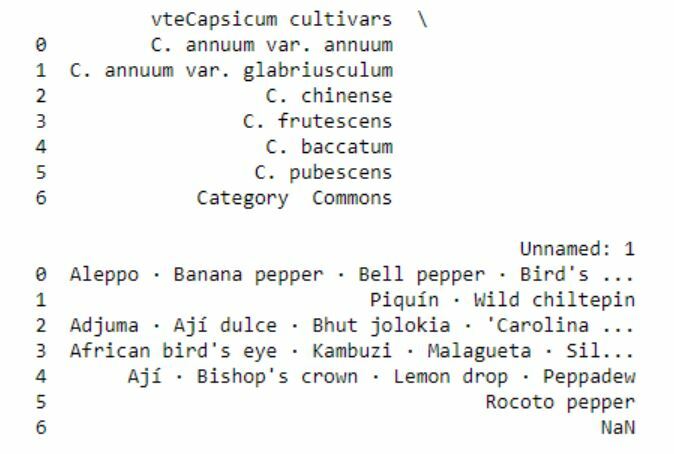 Again, we are also removing the strongest chili pepper using Pandas query. 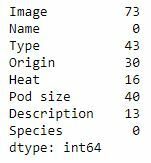 Note, in the example above we are selecting the columns “Heat” and “Pod size” only. If we want to keep the other variables but only have complete cases we can use the subset parameter (df_full = df.dropna(subset=[‘Heat’, ‘Pod size’])). That said, we now have a subset of our dataframe with 31 complete cases and it’s time to carry out the correlation. It’s quite simple, we just put in the variables of interest. We are going to display the correlation coefficient and p-value on the scatter plot later so we use NumPy’s round to round the values. It’s time to stitch everything together! First, we are creating a text string for displaying the correlation coefficient (r=-0.37) and the p-value (p=0.04). Second, we are creating the correlation plot using Seaborn regplot, as in the previous example. To display the text we use the text method; the first parameter is the x coordinate and the second is the y coordinate. After the coordinates we have our text and the size of the font. We are also sing set_title to add a title to the Seaborn plot and we are changing the x- and y-labels using the set method. Here, we don’t add that much compared to the previous Seaborn scatter plots examples. However, we need to rotate the tick labels on the x-axis using set_xticklabels and the parameter rotation. Now we have learned how to explore data using Python, Pandas, NumPy, SciPy, and Seaborn. Specifically, we have learned how to us Pandas read_html to parse HTML from a URL, clean up the data in the columns (e.g., remove unwanted information), create scatter plots both in Pandas and Seaborn, visualize grouped data, and create categorical scatter plots in Seaborn. We have now an idea how to change the axis ticks labels rotation, change the y- and x-axis labels, and adding a title to Seaborn plots.